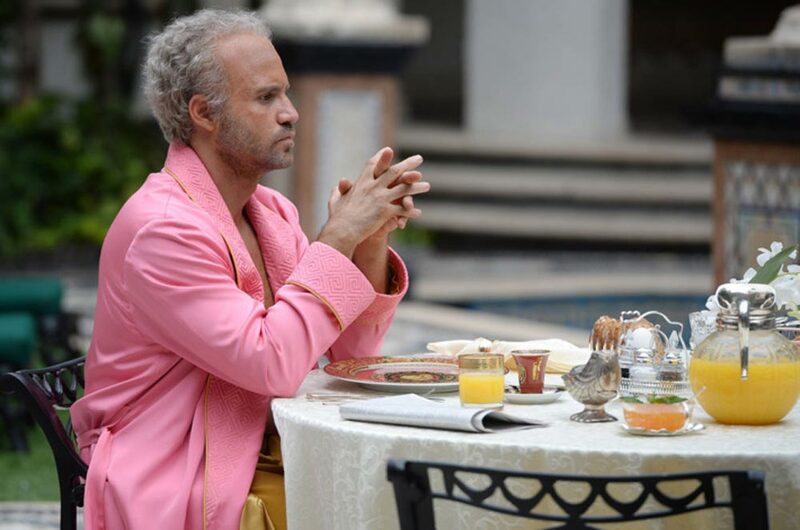 We’ve all been obsessed with American Crime Story: The Assassination of Gianni Versace lately. If you’ve been living on another planet the past months, this drama series explores the murder of a fashion icon by serial killer Andrew Cunanan. Its final episode aired last Wednesday and now the only thing we want is more. After a successful first season that immersed us in the famous O.J. Simpson trial, it was now time to dive into the story of Gianni’s tragic death. Recreating a true story can go terribly wrong because in the end what’s the truth? However, some profound research and a genius cast can make things look scarily realistic. And when you can film at the exact location where the events happened, that’s even a bigger asset. Édgar Ramírez is a convincing Gianni Versace, who could be a better Donatella than Penelope Cruz and even Ricky Martin can apparently act. However, the star of the show, how weird it may sound, is Darren Criss as Andrew Cunanan. Who thought he’d disappear after a short career in Glee will be disappointed. After this amazingly scary performance, things are just about to start for him. 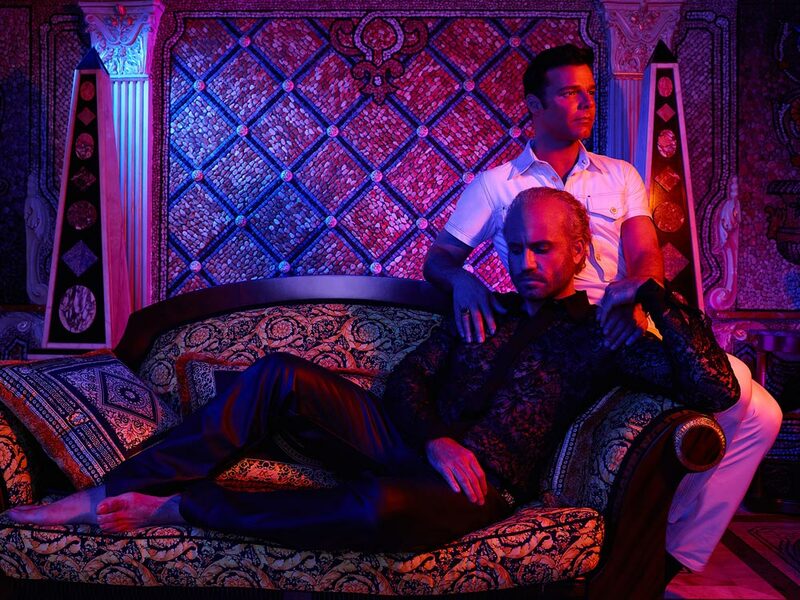 What we liked most about The Assassination of Gianni Versace is that we actually got soaked into his world. His signature style is clearly visible in the series. 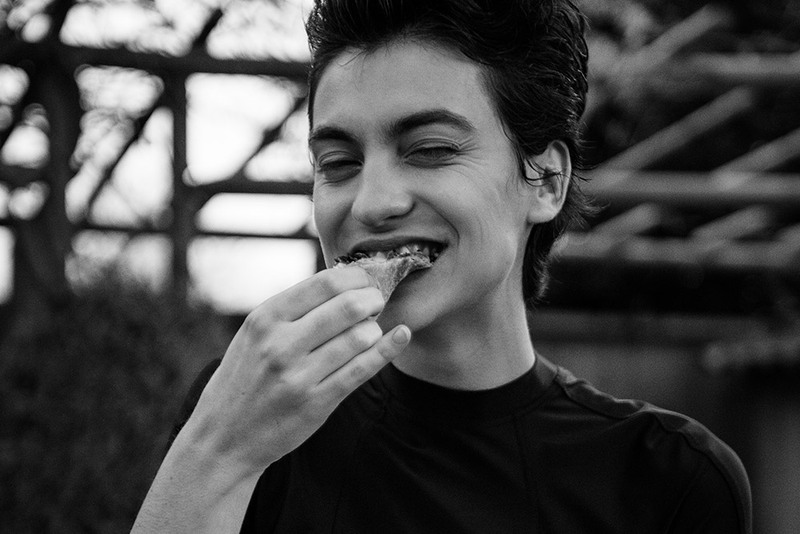 The outfits, his former house and all the details breathe Versace. 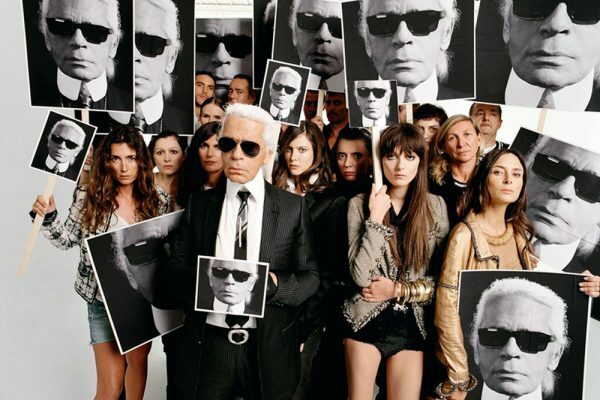 When he died we were all still children, we didn’t fully understand, at that time, how important he was to the fashion industry. It was only while growing older that we found out how iconic Gianni Versace really was. Now, twenty years later, we’re happy to enjoy even a fictional glimpse behind the scenes. 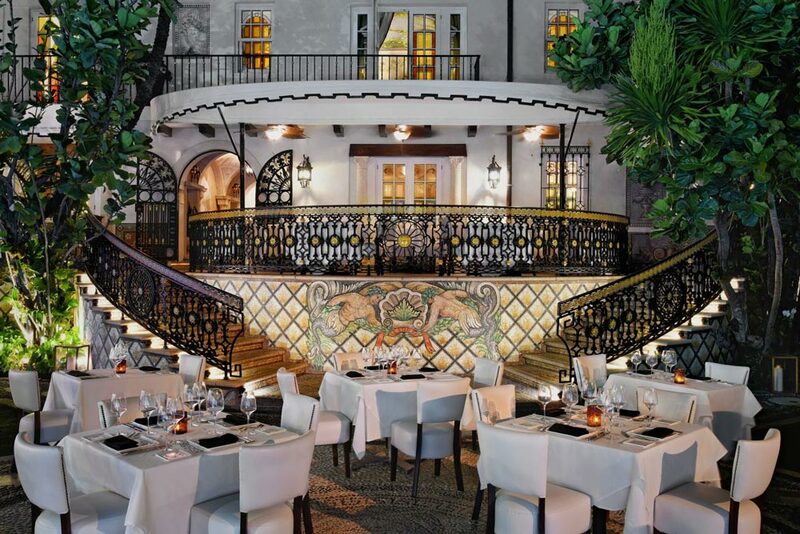 If you truly want to go for the Versace experience, his former mansion and set of the series is now a hotel. 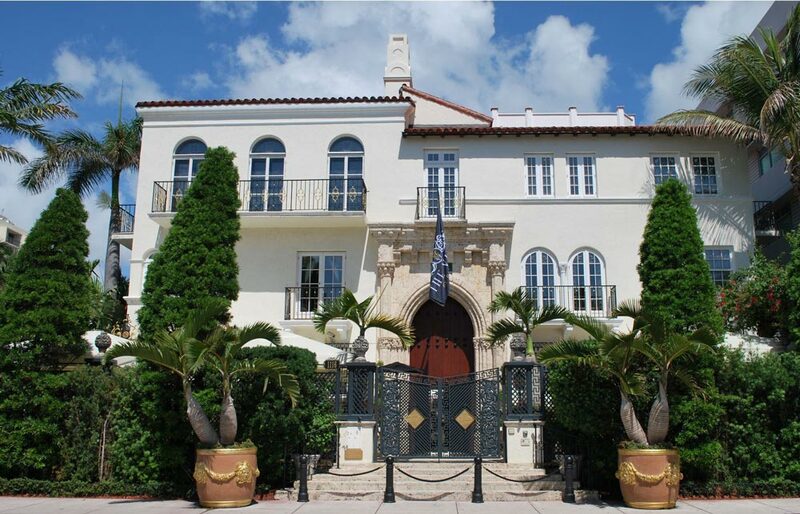 It must be one of the Miami beach houses with the most interesting history. Built in 1930, it was designed by its original owner Alden Freeman. On a trip to the Dominican Republic he visited Alcazar de Colon. It’s a home built by Christopher Columbus’s son and known for being the oldest residence in the Western Hemisphere. 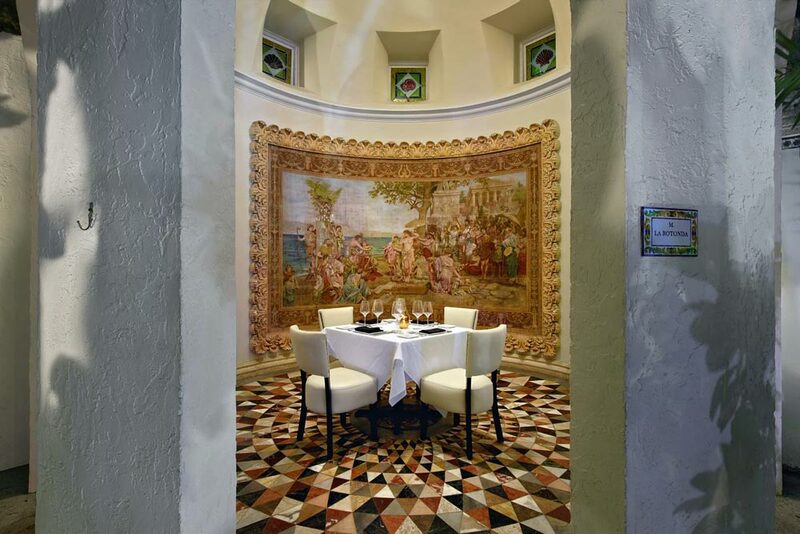 Inspired by the Santo Domingo homes and Spanish Colonial design, he built his very own version of it in Miami. 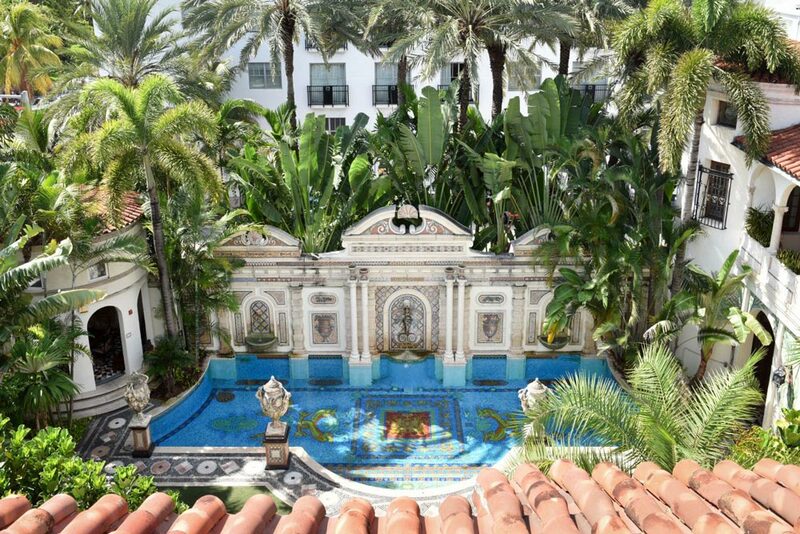 Gianni Versace discovered the mansion when he was on a family trip in 1992. 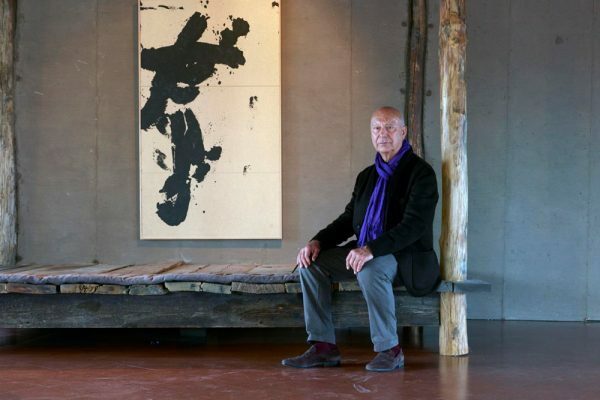 It took him three years to renovate the place into this beautiful piece of art. 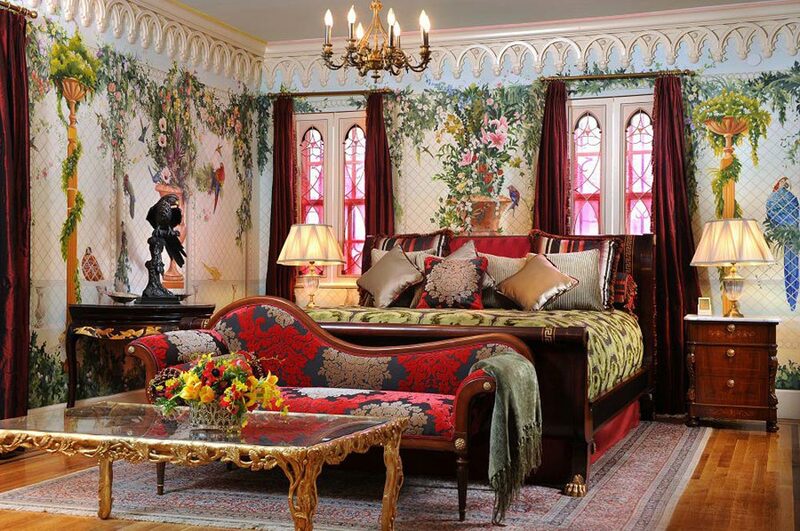 After his death the house sat empty until it was bought in 2000 by Peter Loftin to use as a private residence and a hotel. 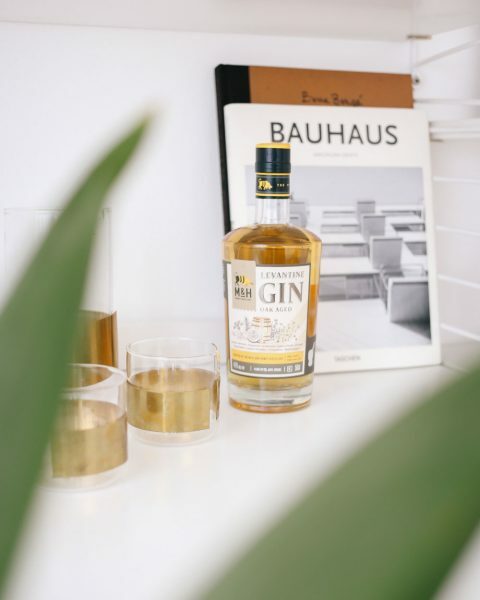 In 2009 Barton G. Weiss took over the mansion, gave it back its original name and turned it into a hotel. 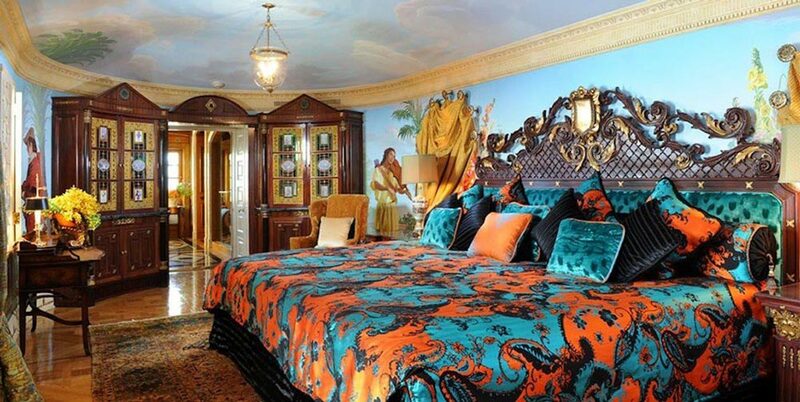 For 1000$ – 2000$ you can rent a suite and immerse yourself in what used to be the world of Gianni Versace. If we’d have the money, no doubt that we would be on a plane to Miami right now.